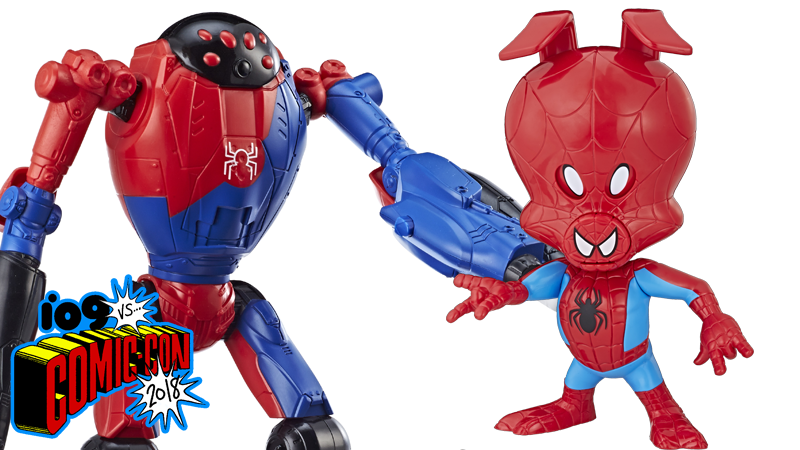 SP//dr and Spider-Ham are here, in toy form! Sony brought the gorgeous-looking Spider-Man: Into the Spider-Verse to Comic-Con with news that Miles, Gwen, and Peter would be joined by even more Spider-heroes—but because the footage was never put online, we never got to see them. Thankfully Hasbro showed up with some upcoming action figures from the movie to make up for it. 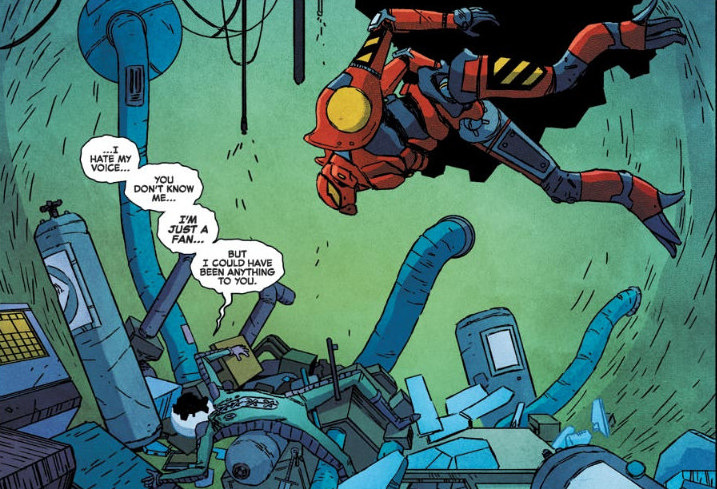 It’s a pretty radical departure from the design Peni was introduced within the original (and excellent) Spider-Verse comics, but hey, it’s still a giant Spider-Man robot piloted by a young girl through spider-bite symbiosis. And that’s rad. That wasn’t the only Spider-Verse toys Hasbro had to show, though—while they didn’t get to show off the final look of Cage’s Spider-Man Noir, there will be a toy available of Noir’s Web-fluid-shooting guns.